Detailed review of Aquage Dry Shampoo Style Extending Spray. See what real experts and actual users have to say about this dry shampoo. Aquage Dry Shampoo Style Extending Spray was disappointing because it didn’t absorb the oil from my hair. This dry shampoo is easy to apply; the aerosol formula is easy to control the product, but it’s not so easy to use. The product goes on colorless and damp, and as it dries, it leaves a sticky texture in your hair. As I tried to manipulate the product throughout my scalp, all it did was add texture but didn’t absorb any of the oil in my hair. Unfortunately, no matter how much product I tried to add to my hair, it didn’t absorb the oil, leaving it feeling sticky and looking dirty. The product smells nice and adds great texture and volume to the hair, but ultimately didn’t work as a dry shampoo. Overall, Aquage Dry Shampoo Style Extending Spray left my hair feeling and looking just as oily as it did before I used the product. The look of Aquage Dry Shamoo Style Extending Spray is totally colorless when it’s first applied, and as it dries, it remains clear and traceless on the hair. The feel of the dry shampoo is kind of wet, and as it dries, it has a very sticky feeling, which is kind of unusual for a dry shampoo. I liked that I couldn’t see the product in my hair, but I really didn’t like how it felt in my hair. The application of Aquage Dry Shampoo Style Extending Spray is really easy; the aerosol makes it easy to control the product and where it’s going in the hair. It’s kind of easy to use, but I found this product to be kind of confusing because it really doesn’t absorb the oil in your hair. The tacky and sticky feeling does help with styling but it didn’t do a lot to help with the oil. I tried to brush the product through my hair and apply more product throughout my head, but I still couldn’t get it to do what I was looking for. This product does apply wet and dries after about 30 seconds. 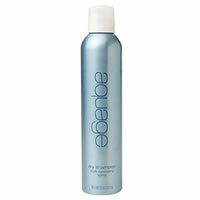 Aquage Dry Shampoo Style Extending Spray initially smells very lightly clean and floral. The smell diminishes very quickly, but I could smell is subtly throughout the day. The results I achieved from Aquage Dry Shampoo Style Extending Spray were less than impressive. I felt as though the product absorbed little to no oil and just left sticky residue in my hair. 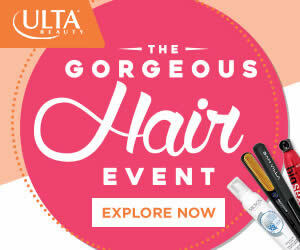 Although this product helps with volume and texture, it doesn’t mix well with oily hair. The Aquage Dry Shampoo Style Extending Spray left the sticky feeling in my hair all day long, despite absorbing little to no oil. It was kind of hard to gauge how long it lasted since it didn’t do what it was supposed to. But my hair did feel textured and full of product for the whole day. Aquage Dry Shampoo Style Extending Spray is $24.00 for 8 oz. That comes out to $3.00 per oz. This is an average or below average price for a dry shampoo. Unfortunately, I couldn’t find a money back guarantee for Aquage Dry Shampoo Style Extending Spray. To buy Aquage Dry Shampoo Style Extending Spray, Click Here.